Custom is our passion. Building a home that is completely tailored to you and the needs of the people you love is what drives us. Whether you began with a plan that you fell in love with, a piece of property you already own, or that childhood vision you’ve held on to for a lifetime, we are here to make it perfectly you. 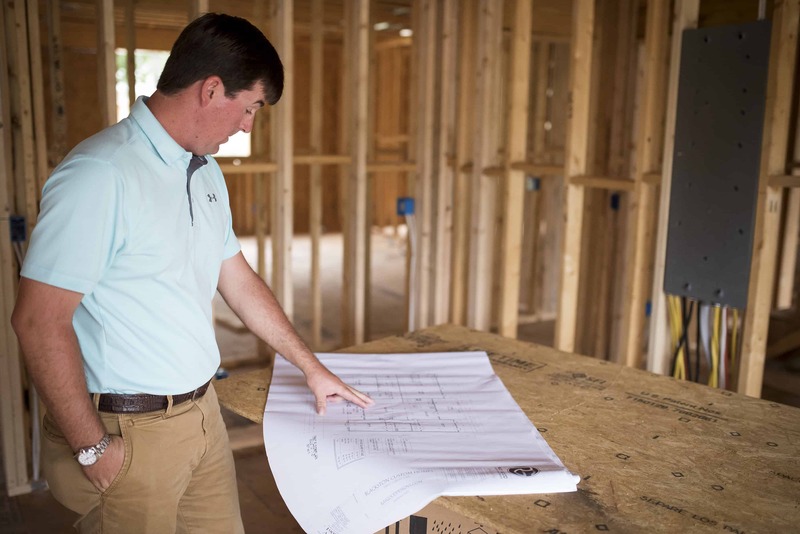 We simplify the custom home building experience by pairing the highest level of construction practices with technology that allows you to be a part of your build every step of the way. Custom homes start with big expectations. While the final product is most important, this is such an exciting time in your life, and we want you to love the experience as much as the result. This initial meeting allows us to get to know each other. Every custom home buyer is unique in their style, the needs of their family, and how they prefer to communicate. Great communication is key to any successful relationship, and that starts day one. We can start from scratch to create your plan or work from an existing plan. Once you decide on the plan that suits you, our work begins, helping you make that plan your own. Take a look at our gallery for design inspiration. You will see that many of our clients have an affection for craftsman design and the modern farmhouse. A large part of working with clients in building a custom home is curating ideas that help them hone their vision. Whether Craftsman, Colonial, Mid Century Modern or Tudor, we are excited to create with you. Our in-house design studio brings your Pinterest boards to life and lets you touch and feel the finishes of your home. Part of the Blackston Custom Home experience is access to a curated selection of finishes and assistance in everything from paint colors and countertops to lighting elements and hardwares. Whether you are building a custom home or choosing finishes for one of our spec homes, we’ve made it easy to envision your finished space. Whether you live around the corner, or are building from another state, our app makes it easy to follow the progress at your home site. With an assigned client log-in, you’ll log into your account for daily updates: from framing day to cabinet day to stamp your initials (or paw print) in the garage day. At the completion of your home, we will create a custom notebook that documents all of your selections and organizes them into an easy-to-reference guide. That paint color with the funky name, certificate of occupancy, a copy of your neighborhood covenants, appliance manuals, warranty registrations, information on how to change over power and water, it’s all here. Make an appointment for an initial meeting or visit our design studio located at 25 Sylvan Road.